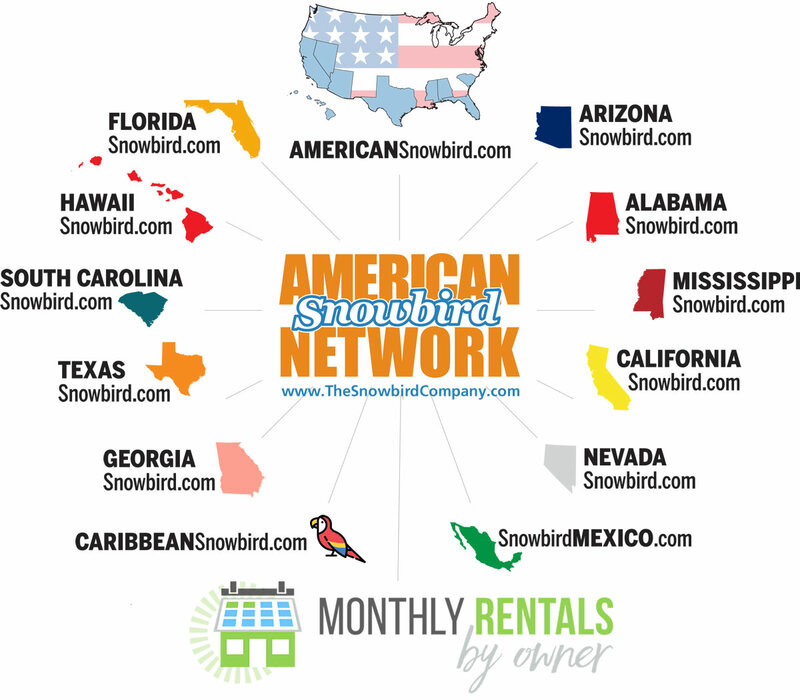 The Snowbird Company, has partnered to integrate MonthlyRentalsByOwner.com, a product of sister-company Clearle Rental Niches, into it’s core ‘American Snowbird Network’ of websites. The Snowbird Company’s Founder and President, Sean Beckham said that “a huge increase in inquiries from non-Snowbird monthly vacationers through our system, was the reason we thought this addition would be beneficial to all Snowbird advertisers. It allows more leads to come in through an interface targeted more toward the general public, not just the snowbird demographic.” The shift allows for more visibility for the vacation rental property owners and vacation rental managers that advertise on The American Snowbird Network, to non-Snowbird monthly guests that often seek even more-profitable higher rate shoulder-season months, allowing more potential for profitability, and broader visibility. The American Snowbird suite of websites offers owners and property managers an exceptional marketing opportunity for one annual fee of $123, for the entire suite of rent-by-owner websites that includes one central owner interface. There are no booking fees charged to the guest or owner, and the websites offer direct communication between the guest and the property owner or vacation rental manager. Owners of non-snowbird monthly rentals will still be able to advertise on http://www.MonthlyRentalsByOwner.com by itself, (without opting into ‘The American Snowbird’ network websites), for the one low annual fee of $29 per year. Monthly guests benefit from listings tailored to the monthly and multi-month vacation lifestyles and offer unique pricing models, and even additional perks such as multi-month discounts, offered by the vacation rental owners and property managers, to incent even longer stays in exchange for price breaks. The Snowbird Company, established in 2003, focuses on the needs of winter visitors to the warm resort destinations of the southern United States, Mexico & the Caribbean. The websites of The American Snowbird Network serve the United States, providing a comprehensive list of properties by owner and vacation rental manager, specifically available for monthly, off-season or seasonal rates. Snowbirds can find high-end resort destinations on a budget right here. Some of these websites included are http://www.AmericanSnowbird.com, http://www.FloridaSnowbird.com, http://www.CaliforniaSnowbird.com, http://www.ArizonaSnowbird.com, and others. 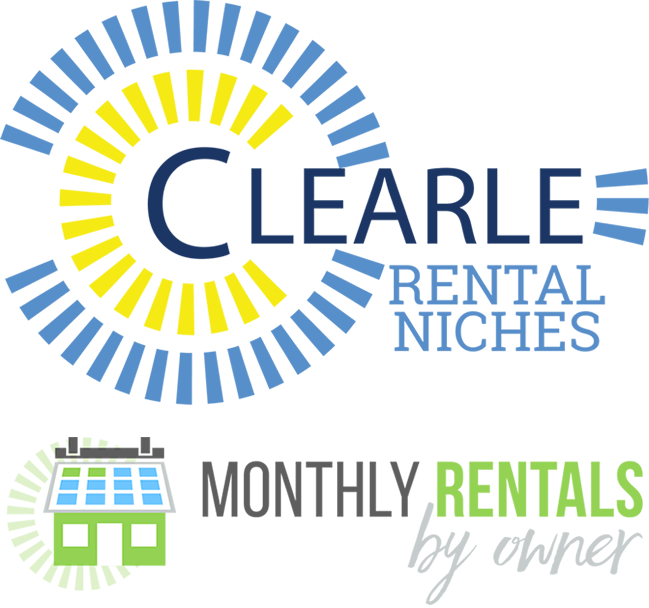 Clearle Rental Niches, established in 2009, offers vacation rental property owners and managers, a centrally integrated marketing platform that targets only those travelers who are seeking unique features, such as pet-friendly accommodations, lodging with boating amenities or even based on rental term, such as 1-month, 3-month, 6-month, month-to-month in addition to long-term vacation rental options. The websites include http://www.MonthlyRentalsByOwner.com, http://www.BoatFriendly.com, http://www.PetFriendlyRentalsByOwner.com, and http://www.LongTermRentalsByOwner.com, each available to advertise vacation rental properties. For more information on the American Snowbird Network of multi-month, seasonal niche-specific websites, visit http://americansnowbird.com/ or call (800) 270-2457. For information on Clearle Rental Niches websites, visit http://www.Clearle.com, or call 888-600-8119. The American Snowbird NetworkMonthly and Multi-Month Rentals available at discounted rates by Vacation Rental Owners and Managers Clearle Rental Niches Presents MonthlyRentalsByOwner.com, now a part of The American Snowbird NetworkUser-friendly vacation rental by owner website has no hidden fees & tons of visibility The Snowbird Company - the #1 Snowbird Vacation Rentals Resource, since 2003.